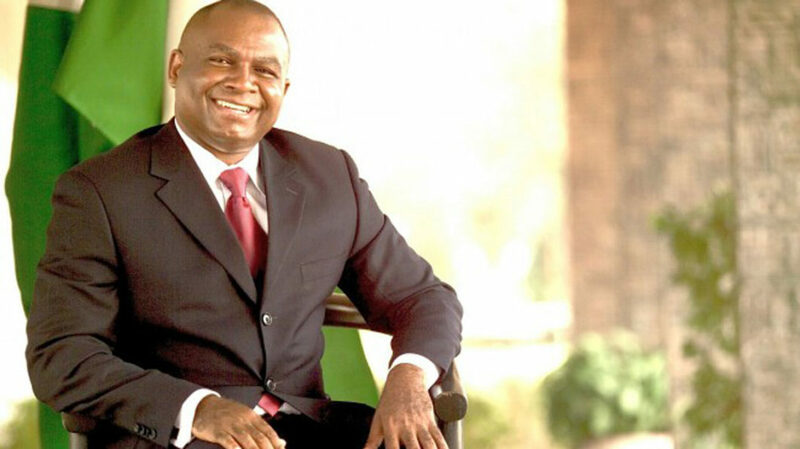 As parties name their candidates, the news hitting Enugu is that former governor of the state Dr. Chimaroke Nnamani has picked the ticket of the Peoples Democratic Party (PDP) in Enugu East Senatorial election. Nnamani secured 601 votes to beat six other aspirants, including incumbent Senator Gilbert Nnaji. It was gathered that the forms were procured by his close associates on his instructions and sent to him overseas. The development, which sent members of his now infamous ebeano political family into joyous celebrations, has put an end to long speculation over the former governor’s political thoughts, as elections draw near. Before now, unconfirmed reports had it that he has pitched tent with the All Progressives Congress (APC). 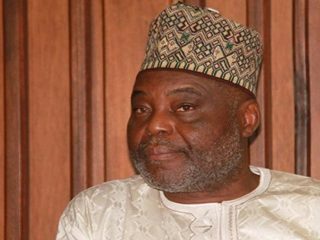 The rumour was accentuated by the discontinuation of charges brought against him in court by the Economic and Financial Crimes Commission (EFCC) recently. Until early this year, Nnamani had been a regular visitor to EFCC and courts over allegations of illegal enrichment while serving as governor in Enugu State between 1999 and 2007. If this new move come to pass, that means Nnamani has returned to his original political base, the PDP, which he left in 2011 to form the People for Democratic Change (PDC), following alleged misgivings between him and his successor, Sullivan Chime. The disagreement got to a point that Chime had to proscribe his ebeano political family, while ensuring he became irrelevant politically, as he and his party never won in any election. And none of his supporters got government appointment in the state throughout Chime’s tenure. To further deride him, while the disagreement was on, Chime at a time described Nnamani as a “truant”, who was never available at the Senate when serious matters were discussed. He vowed not to allow him regain the seat. It was at this juncture that Nnamani opted to use PDC platform to contest the 2011 Enugu east senatorial election. And true to Chime’s vow that PDP would ensure he did not return to the senate, Nnamani trailed behind Nnaji, who became the PDP candidate, when the results were announced. This scenario repeated itself in 2015 and despite the dust raised by Nnamani and his supporters against the declaration of Nnaji as the winner, it never altered the outcomes of the poll, just as PDC gradually went into oblivion. Returning to PDP will put him eyeball to eyeball with Nnaji, who is also angling to become the first politician to represent the zone for three consecutive terms. But, will Nnamani outsmart Nnaji and others in the party primary and obtain the PDP ticket? What are the implications of his return to the party as 2019 general elections draw near? Associates said his entry into the senatorial race would definitely change the political equation. They said it would definitely return APC to the drawing board, even when there is no known aspirant that has indicated interest so far from the party to contest in the zone. On PDP’s side, sources said the party is looking at a bigger picture in the state elections and might likely tilt towards the former governor to help it win, in view of his political structure, wider reach and acceptability. Nnamani is coming from Enugu east, a zone that produced former Senate President, Ken Nnamani, former governor of old Anambra State, Chief Jim Nwobodo and many others, who are presently APC leaders and swelling the rank of the opposition in the state. 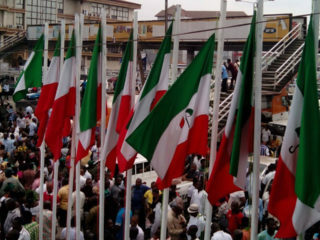 The fear is that with the decamping of these politicians and APC’s determination to make strong inroad in the state’s governance next year, close sources said PDP needs a politician with structure and experience to enable it weather the murky waters. Nnamani is said to be best suited for it, having nurtured his ebeano political family since leaving office. In the state, he is seen as the only one with a functional structure. He successfully railroaded the structure into the PDC and made waves in previous elections in the state. A former National Auditor of the party, Ray Nnaji told The Guardian: “Nnamani’s return is a master stroke. It is the tonic PDP needs to win election in Enugu State. This is because APC has made serious inroads in the state politics that, even with the massive grassroots appeal of the PDP, there is no certainty what could happen in the election. 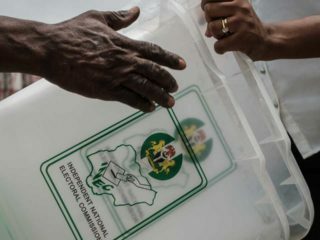 It was gathered that alongside consideration and the need to deepen and consolidate the party’s winning streak in the state and in Enugu East zone, a former member of the House of Representatives, Prince Offor Chukwuegbo was allegedly persuaded to join the race for Enugu south/north federal constituency. Offor, who hails from Enugu south local government as Ken Nnamani and Jim Nwobodo, was in the House of Reps between 2007 and 2015. He left PDP, when the ticket was denied him in 2015 and ran on the platform of All Progressives Grand Congress (APGA), and lost to the incumbent. He has lent what looked like credence to the permutations, when he said recently: “Our political journey in this dispensation started with a desire to go for the Senate with a proviso not to engage Senator Chimaroke Nnamani should he decide to run. “We kept close watch on his heartbeat and mindset, refusing to be blinded by unguarded optimism. We did tread with caution until we were privileged to know he would run for Senate. We settled for the House of Representatives, believing that we can as well serve our people there. “Now the die is cast. The game is becoming more interesting; the big masquerade is out. Indeed, the permutations are changing. The confidence that PDP will retain Enugu East senatorial zone is gaining momentum. The narratives are beginning to tilt towards the old warhorse.